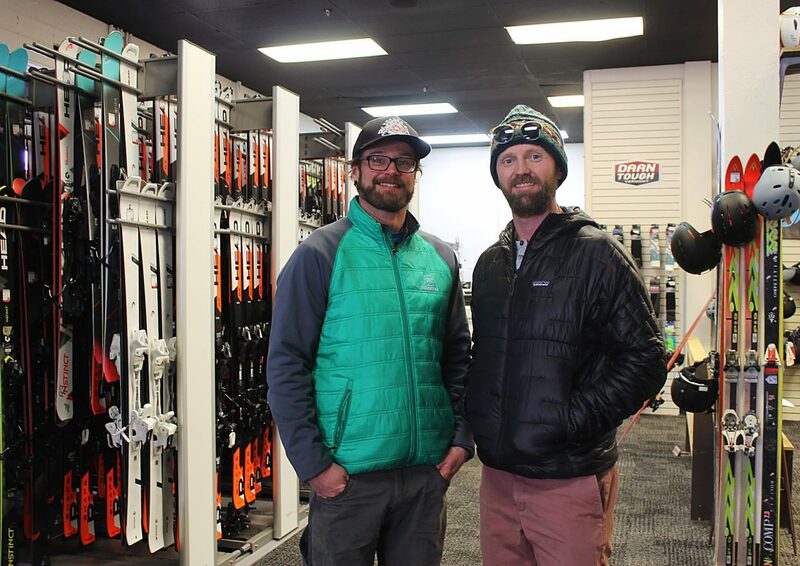 Max Doilney, right, recently opened Corner Sports, a ski and snowboard rental shop at the base of Park City Mountain Resort. Alex Moulton, left, is the general manager of the shop. Max Doilney grew up in a different time in Park City’s history. 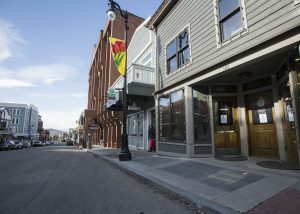 He remembers when mom-and-pop shops ruled the town and locals would occasionally trade goods or services instead of purchasing products with cash, and he wants to bring a piece of the old Park City back. Doilney, who owns the Corner Store Pub and Grill near the base of Park City Mountain Resort, recently opened Corner Sports, a gear rental shop that sits below the restaurant. The store includes a coffee shop as well. He opened the store with Jeff Jacobs, his partner for the restaurant. Corner Sports rents skis, snowboards and boots and sells ski accessories such as gloves, goggles and helmets. It has rentals for beginners and high-performance demos for advanced skiers and riders. For as long as Doilney can remember, the space has housed a ski rental shop, and he wanted to keep up the tradition. 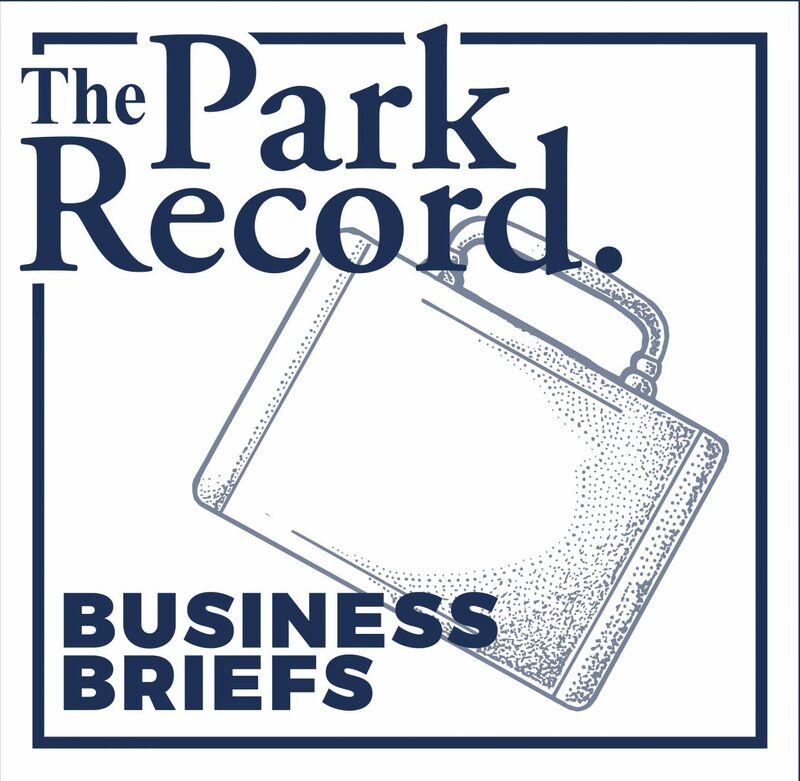 Max Snowboard Shop and Breeze Ski Rentals most recently occupied the space, and Doilney said the stores were managed by Vail Resorts. Doilney, who owns the building, realized how well rental stores around town were performing and decided to get into the business himself. 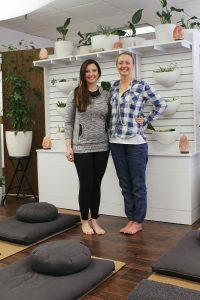 He chose to not renew the company’s lease and spent seven months reorganizing the space before opening in October. 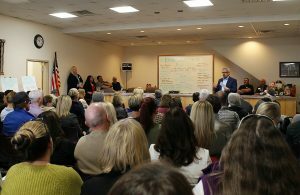 Doilney was partially driven to open a rental shop because he is concerned about the growing presence of chain stores and large corporations in Park City, including Vail Resorts. He wants to maintain a mom-and-pop feel in his corner of town. “We kind of feel like this building represents an old ski town. There is not a whole lot of that left in Park City,” he said. As Doilney started plans for Corner Sports, he decided to create a lounge area for his customers. Then, he thought coffee would be a nice addition. 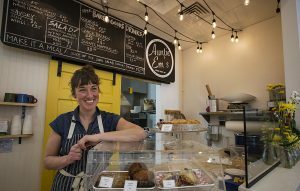 That idea ultimately expanded to a full-on coffee bar, complete with a menu that includes pizza and baked goods made in house by the store’s baker. Now, he said, he can serve breakfast to his guests in the morning and lunch and dinner at the restaurant upstairs. “With the ski shop here, this building has everything you need and nothing you don’t want,” he said. The shop also has a ski delivery service, and employees can visit customers to fit them for skis and boots. Corner Sports can then keep the gear waiting for them for when they get to the mountain. Doilney’s drive to support small businesses carries over into the products he sells at the rental shop. He carries brands like WildHorn Outfitters, which has traditionally sold its helmets only online. Other companies, such as Skida and Darn Tough Socks, are made in Vermont, which is where Doilney’s wife is from. The skis and snowboards were selected because of relationships Doilney or his coworkers had with brand representatives. “Every brand we carry in the ski shop in particular has a story behind it as to why we carry it,” he said. He said it has been a fun switch to get into the rental and retail business, and he is eager to create a space where locals and tourists can visit, hang out and get to know him and his employees. When he purchased the building in 2004, he hoped to bring back the spirit of the lively and welcoming restaurant his dad owned in the same space in the 1970s. In pursuit of that, he opened Corner Store Pub and Grill. Doilney feels like he has accomplished that goal with the restaurant, and he is determined to continue to grow his community with Corner Sports.